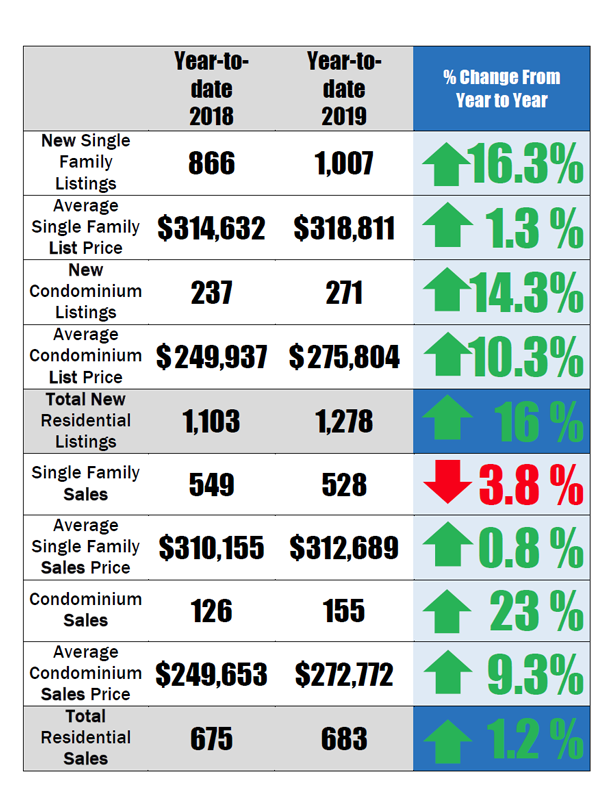 Year-to-date, the total number of new residential listings compared to 2018 rose 16%. Despite there being more inventory, the average listing and sales prices for both single family homes and condominiums continued to rise. Average single family list prices rose 9.7%, to an average of $330,973, and average single family sales prices rose 9.5% to an average of $326,409. Average condominium list prices also rose 16.8% to an average of $273,410, while average condominium sales prices rose 15% to an average of $269,805. in the number of sales in March 2019. The number of total residential sales year-to-date also remained unchanged, with a 1.2% increase from March 2018. Single family sales for March 2019 were nearly even with sales from March 2018, with one less listing in March 2019 than in March 2018. Condominium sales however, have increased by 23% year-to-date over March 2018, with 155 sales compared to 126. 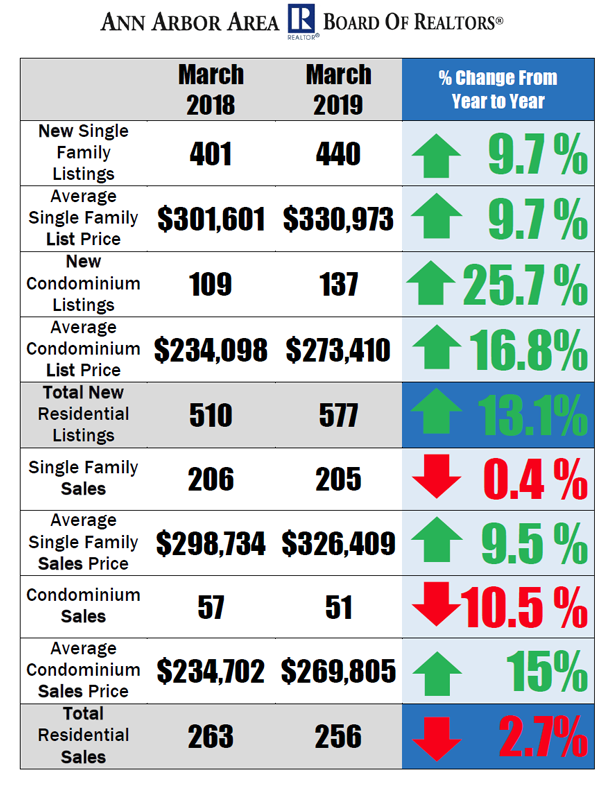 To see more Ann Arbor Area housing statistics, view the March 2019 Housing Statistics Report.